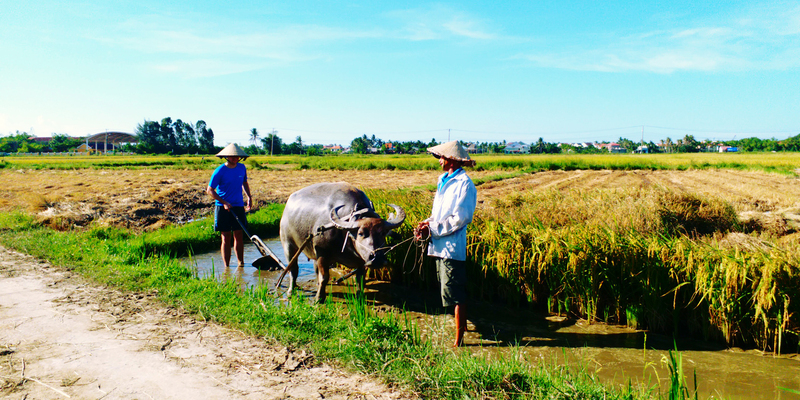 Hoi An Village Experience is a local family business in a beautiful fishing village name Cam Thanh where most of local communities here are farmers and fishermen who always daily have to work hard on theire farms. 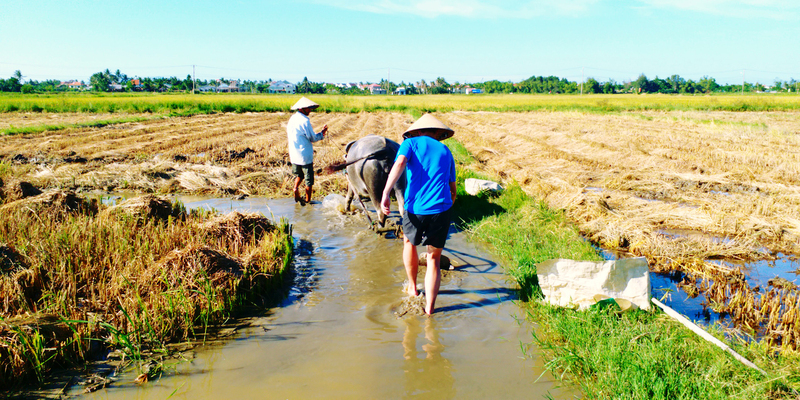 So the purpose of Hoi An Village Experience is help the local comminities by giving them more opportunity to serve the tourists who want to have special experience in this village. Mr. Cu – Tour Guide & Manager ; Ms. Nhung – The Chef , she is Mr Cu’s wife, she was born in Cam Thanh Village where the Tour is located now. She is an excellent cooker for the tour. She is one of the best cooks in Hoi An Town that can make the authentic Vietnamese cuisines of local food that she had leart from her mum. In July 2009, some of our friends from Australia came to see us and our family in Cam Thanh Village, We organized and guided them a trip around here by our self, after this special Tour our friends told us the Tour is excellent,This is the best way to explore the Real Hoi An, open this tour with an Ideal that: Explore the real Hoi An Village, The mission is to provide you with a tour that shows you the other side of Hoi An. Mr. Cu, is the Tour Guide and also the Tour Manager. We make this little business with all our heart and with the main purpose is to help and support local communities improving their life in the village. We love our job very much and very keen on our tourism business. With our valuable experiences in doing farming and fishing technic as he learn since I was a little boy at my home village and tourism knowledge and my ability to fluently speaking English and and little Friench, I am surely and so pleased to give you such a very wonderful trip with Hoi An Village Experience Tour to the biggest wish that you can learn and get the best unique life style experience with the local inner life of the Vietnamese people through out your participation in. 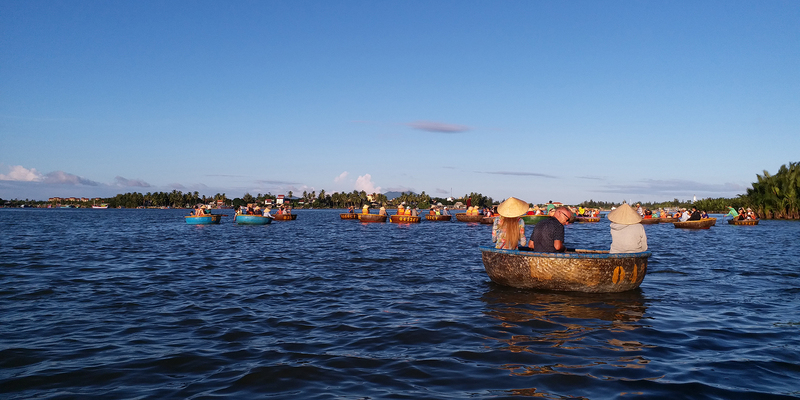 With all the great mixture of our small family, the combinations from our fisherman and tourism skillful experience, we are very pleased and honored to server you if you would love to come to Hoi An town for your holiday and join a tour with us. 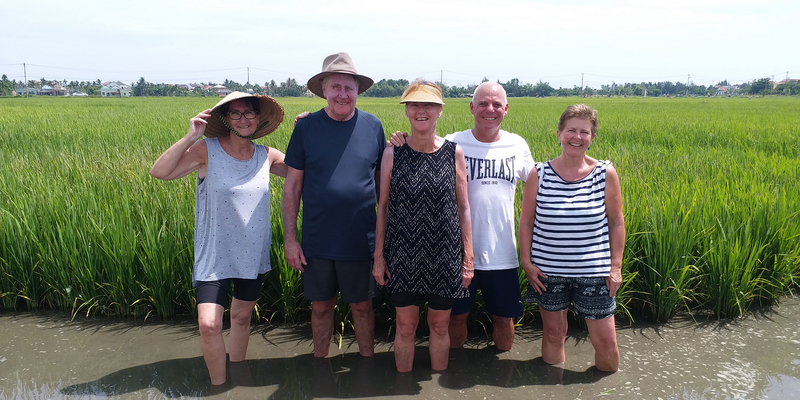 The Hoi An Village Experience Tour Company family will be very delighted to offer you with warm welcome to all of tourists all over the world in a very special and unique way. 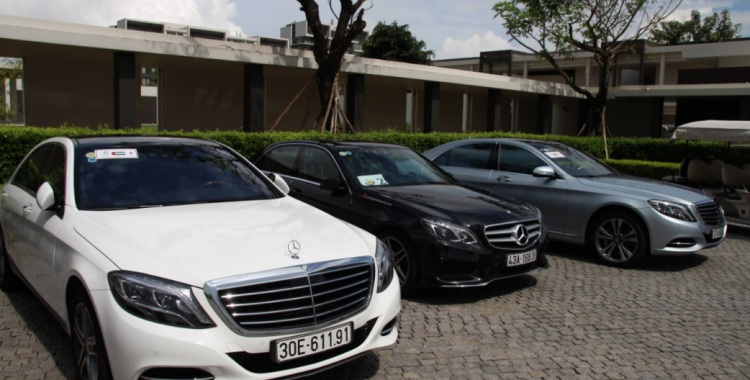 We are sure the tours will make your trip an extremely memorable experience. We warmly welcome and honor your patronage.